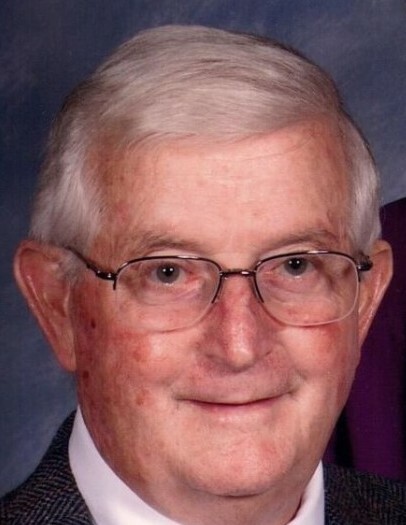 John Myron “Johnny” Freese, age 90, of DeGraff, Ohio passed away Sunday, February 10, 2019 at Green Hills Community in West Liberty, Ohio. He was born August 31, 1928, in DeGraff to the late Charles Robinson and Hazel Blanche (Paugh) Freese. In addition to his parents, John was preceded in death by his sisters and brothers-in-law, Helen (Wilson) Williams, Dorothy (Samuel) Houchin, Mary Ellen Freese, Louis Freese, Francis Freese, and Shirley Freese; brothers and sisters-in-law, Lee Freese, Louise (Ruth) Freese, James (Jane) Freese, and Billy Freese. On July 15, 1948, John married Mabel Lucille Campbell and she survives, along with their four children, Kathy S. Freese of Xenia, Ohio, Sherry (Joe) Jankowski of Culpeper, Virginia; Mike (Kathy) Freese of West Liberty, and Jeanie (Mike) Wall of Centerville, Ohio; seven grandchildren and thirteen great grandchildren, John (Robyn) Freese and their children Ashley and Ben of Hilliard, Ohio, Josh (Angie) Freese and their children Joda and Sophie of Hicksville, Ohio, Chris (Amanda) Wall and their children Gavin and Landon of Springboro, Ohio, Matt (Haleigh) Wall of Owensboro, Kentucky, Abbey (Peter Taylor) Freese and their son Jayden of Plantation, Florida, Brad (Lindsay) Jankowski and their daughter Remington of Locust Grove, Virginia, and Kurt Jankowski and his children Hunter, Brooke, Paige, Bailee, and Kendyl of Linden, Virginia; nieces and nephews, Linda (Bill) Gertner of Sidney, Ohio and David (Marcia) Freese of Springfield, Ohio. A general contractor for forty years, John built and remodeled several homes in Logan, Shelby, Champaign, Clark, and Union counties as Freese Construction and Freese-Penrod Construction. He also supported the DeGraff community by serving on the Board of Public Affairs for twenty years. He was very well known for his athleticism throughout Logan County and West Central Ohio. As a basketball player for DeGraff High School, he introduced the one-handed push jump shot to Logan County. John also led all scorers in the 1947 Logan County Basketball Championship Tournament. His 91 point tournament total earned him MVP honors. John also excelled on the baseball diamond. He played for the Heart of Ohio Baseball League at Kiser Lake, was a fast-pitch softball pitcher for both the Harris Jewelers and DeGraff Merchants teams and played slow-pitch softball for Freese & Penrod Construction in DeGraff, Omar Bakery in Sidney, and various teams in Bellefontaine. His efforts were acknowledged in 2015, when he was inducted in the Logan County Softball Walk of Fame. John also shared his athletic gift as a youth softball, farm league, and pony league coach. One year he coached both his son’s pony league team and his daughter’s softball team. He was also an avid fisherman, golfer, and bowler, which was evidenced by the 299 game he rolled while bowling for the DeGraff Methodist Church. Later in life he enjoyed attending the activities and sporting events of his children, grandchildren, and great grandchildren. Most importantly, John loved his Lord. He was a member of then Grace Chapel Church in West Liberty and a very well-respected father, grandfather, great grandfather, friend, uncle, and brother who loved deeply in word and deed, placing others above himself. The family will receive friends from 5 to 8 P.M. Thursday, February 14, 2019 and from 10 to 11 A.M. Friday, February 15, 2019 at the Grace Chapel in West Liberty, where Pastor Randy Jenkins will officiate the funeral service at 11:00 A.M. Friday. Burial will be at the Greenwood-Union Cemetery in DeGraff.